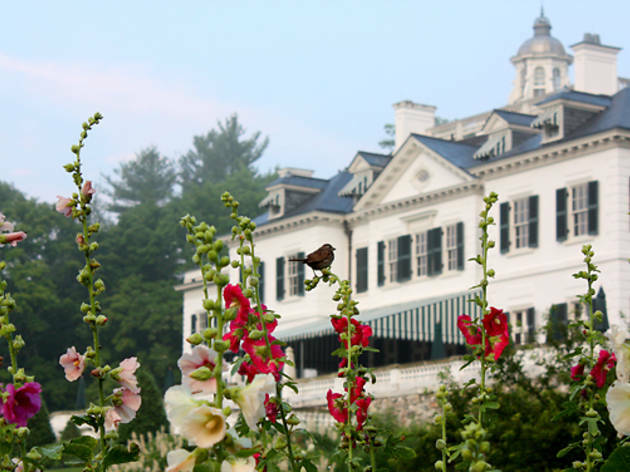 Photo: Kevin Sprague The Mount: Edith Wharton’s Home. There's a wealth of gorgeous, historic homes in the New York area to inspire your literary pilgrimages. While, admittedly, it would be amazing to purchase John Cheever’s Ossining home, which recently hit the market, or poet Wallace Stevens’s 3,900 sq. foot fixer-upper in Hartford, the pilgrimage is a much easier way to experience the magic and mysticism of an author’s hallowed grounds. Here are six houses that will transport you to worlds filled with novels and poems—and, fair warning, you'll probably want to give your own home a grandiose name after reading this. Why: Believe it or not, the macabre genius spent the last years of his life in the Bronx and, at this sweet cottage, wrote some of his best-known works like “Annabel Lee” and “The Bells.” The cottage has since been restored to its original appearance, and visitors can ogle, among other things, the bed where Poe’s wife died—if you’re into that sort of thing. When & How: Open Saturdays 10:00am–4:00pm, Sundays 1:00pm–5:00pm. The B, D, or 4 trains to Kingsbridge Road will take you right there. Why: To visit Sunnyside is to step back into the 19th century; tour guides greet visitors in period costumes and many of the author’s furnishings still remain. Irving designed the house and grounds himself, saying, “It is a beautiful spot, capable of being made a little paradise.” Bring a picnic and make the most of this waterfront haven. When & How: Open May through early November, Wed–Sun. Admission by timed tour only; see the website for details. Take the MetroNorth Hudson line to Irvington and walk or taxi the one mile to Sunnyside; the trip will take about an hour. Why: No one will trick you into whitewashing a fence, we promise. Samuel Clemens and his family lived in this Gothic, 25-room home from 1874 to 1891, and it’s where he wrote a few slight works like, oh, The Adventures of Huckleberry Finn, The Adventures of Tom Sawyer, and A Connecticut Yankee in King Arthur’s Court. The Mark Twain Museum is housed just next-door, where you can watch a mini-documentary on the writer and buy souvenirs, like a Mark Twain bobblehead. When & How: Open year-round except major holidays, Mon–Sat 9:30am–5:30pm, Sun 11am–5:30pm. It’s a two+ hour drive from Midtown or about three and a half hours by train and Connecticut bus. Why: A figurehead of modern poetry known for her liberated Greenwich Village lifestyle, Millay also owned this 19th-century farmhouse for 25 years, using it as both a retreat from the city and as a social spot for artistic gatherings. And thanks to her sister’s efforts, the home still includes its original furniture and all of Millay’s treasures; the property also features stunning views of the surrounding Taconic Mountains. When & How: Open Memorial Day Weekend through mid–October; 9:00am–5:00pm Friday–Monday. The drive will take about 2.5 hours from Midtown. 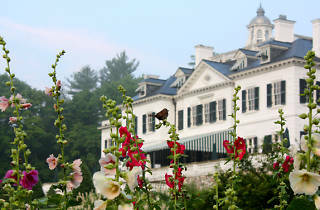 Why: Easily the most impressive author home in the country, Wharton’s estate dates back to 1902 and includes a three-story main house—with terraces, chimneys, a cupola and other architectural features I don’t know—stables, a greenhouse, and three acres of formal gardens surrounded by woods. The Mount hosts many events so be sure to check the calendar before making plans; the upcoming Touchstone interview series, hosted by journalist Kate Bolick and welcoming authors like Andre Dubus III and Joanna Rakoff, would definitely be the cherry on top of any visit. When & How: Open May through October, 10am–5pm (with some exceptions). If traffic behaves, you can get here by car in a bit under 3 hours. Why: Though maybe not the most architecturally impressive of homes, the Emily Dickinson Museum’s allure lies in the fact that Dickinson, the infamous recluse, spent nearly her entire life in this brick house. It’s where she baked her bread and compiled her fascicles, and visitors can indulge their curiosity by peeking into the poet’s restored bedroom. When & How: Open May through December (excluding major holidays), Wed­–Sun, 11am–4pm. The drive to Amherst takes about 3 hours. It's a great list of amazing authors. New York, however, is not part of New England, making the headline misleading. Massachusetts, Maine, Vermont, New Hampshire, Rhode Island, and Connecticut are all part of New England.